The number one topic for CEOs this year is cyber security as well as keeping company and client ecosystems safe. Security issues are even more pronounced with the slump in oil prices causing economic downturns in resource rich countries and in turn spurring an accelerated uptick in cyber criminal activity and corporate espionage. CyberXchange Conference 2016 is a direct response to this clear and present challenge in West Africa;a global convergence of Information Security professionals which is set to hold on 2nd and 3rd of November at the Landmark Event Centre, Lekki Peninsula, Lagos Nigeria. During the two-dayconference, carefully selected topics will be discussed by leading Chief executives, renownedprofessionals, government officialsand holistic cross-section stakeholders to examine current cyber security trends and produce tangible recommendations for solutions. The free attendeeexhibition on both days of CyberXchange 2016 willfeature solution providers, product demos, product launches, a cybersecurity Hackathon and a chance for Business-to-Business introductions. Select schools that offer cybersecurity programs will be on hand at the exhibition to meet interested candidates. Workshops will be available alongside the conference on both days for practical ready-to-use training for IT security professionals and a unique Master-class for chief executives to get a handle on cyber security at their organizations. The event is open tocybersecurity practitioners, leaders, academiaand researchers in both private and public sectorsincluding Finance, Payments, ecommerce, Banking, Telecommunications, Digital Media, Energy, and emerging start-up companies, Legal, law enforcement, regulators, and national security related agencies. Speaking on the conference, Hashim Zein, resident conference consultant said. “The CyberXchange 2016 Conference is part of our effort to aggregate the views of Information Security stakeholders and drive its practical applications”. 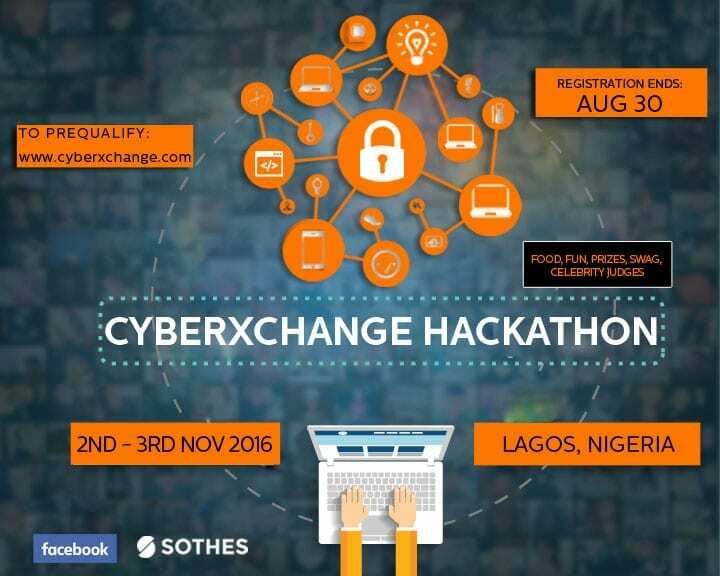 Organizations which will be represented at the CyberXchange Conference 2016 includes; IBM, Interswitch, Ernst & Young,UBER, Belverdere, PAGA, Digital Encode, Central Bank of Nigeria, Liberia Telecommunications Authority, Facebook, Co-Creation Hub, DeltaGRiC Consulting, ERPScan, Vmware, ImpervaIncapsula, Rack Centre Limited and Union Bank. Intending participants can visit www.cyberxchange.com to register. Founded in 2014, the CyberXchange Conference is an annual event series designed to shine a spotlight on new and emerging technology that is changing the ways that business is done in West Africa. The conference is an avenue to analyse and chart the course of technological innovations in West Africa.